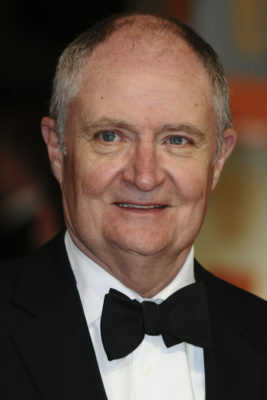 Much like winter, Jim Broadbent is coming to Westeros. Deadline reports the actor has been cast in season seven of Game of Thrones. Earlier, HBO announced the final two seasons of the fantasy drama will be shorter. The cast includes Kit Harrington, Lena Headey, Emilia Clarke, Peter Dinklage, and Sophie Turner. While details about Broadbent’s character haven’t been revealed yet, word is his character will be critical to the season. Game of Thrones returns for its seventh season next summer. What do you think? Do you watch Game of Thrones? Who do you think Broadbent will play?